You get a vibrant community made up of caring members, dedicated volunteers, friendly and helpful staff and a dynamic rabbi to support you through life’s challenges and celebrate your blessings. You get a temple-full of friends and neighbors who will help you and your family learn, grow and thrive. You will be celebrated for your accomplishments and challenged to improve yourself and your world. It’s easy! Email us at membership@templebethor.org , or call us at 425-259-7125. We will answer your questions about Temple Beth Or, arrange a visit and explain membership requirements. 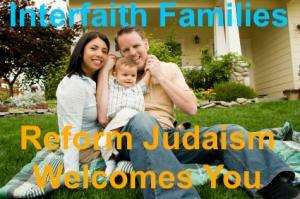 We will also introduce you to our Rabbi and our wonderful Membership Committee, who will assist you in any way we can. What are the costs to join Temple Beth Or? Annual membership dues typically amount to 2% of your family’s gross annual income. What if I can’t afford membership? No one is turned away for financial reasons. Just email us at membership@templebethor.org or call 425-259-7125 and ask to speak with a member of our Membership Committee for a completely confidential discussion about dues. Do I receive High Holy Day tickets with membership? Yes! Each individual in a member family receives a ticket to all High Holy Day services. What if I’m in an interfaith family? If you are committed to having a Jewish family life and want a temple to support that choice through education, celebration and a warm, inclusive sense of community, you’ve come to the right place! We have many interfaith family members that can provide help and support.